45TH CIBE CONGRESS - 15-18 MAY 2018 - GHENT, BELGIUM - REGISTRATIONS ARE OPEN! Registrations are open to CIBE members only! For more information about the Congress and to register, click here. On behalf of the Belgian beet growers, I am pleased to welcome all participants and accompanying persons to the 45th CIBE Congress in Ghent. 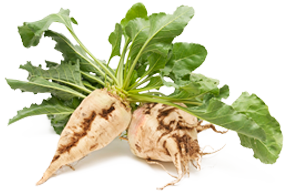 - The role of beet in the EU Bioeconomy. Ghent is a city and municipality in the Flemish Region of Belgium. It is the capital and largest city of the East Flanders province and, second after Antwerp, the largest municipality of Belgium. The city started as a settlement at the confluence of the rivers Scheldt and Leie. In the Late Middle Ages it became one of the largest and richest cities of northern Europe. It is a port and University City. Ghent is a historic venue, but also a contemporary one. The modern daily life of the city’s active inhabitants plays itself out against a gorgeous historical backdrop. In Ghent, they live, work and enjoy life over and over again each day. Lonely Planet classifies Ghent among the ten most beautiful cities in the world. Ghent is a lively place and bids you a warm welcome. This Congress will also be the occasion to celebrate the 50th anniversary of our Belgian beet growers association and the 80th anniversary of its coordinating committees. Therefore, we invite you to a cocktail followed by a gala dinner on Thursday 17 May in the majestic Opera of Ghent. I am confident that this Congress will be very rewarding, both technically and culturally.